Toshiba 32w3433dg picture upside down and colors not correct after firmware upg. Recently my Toshiba TV 32w3433dg died. It couldn't turn on for some reason, red/green flashing. I decided to reflash the firmware. I downloaded 32W3433DG.exe from toshiba website. Next I formatted my drive USB flash drive with FAT file system. Finally I copied both "mb90_en.bin" and "usb_auto_update_A1.txt" to USB flash drive. I turned the TV with USB connected and pressed OK on the remote. 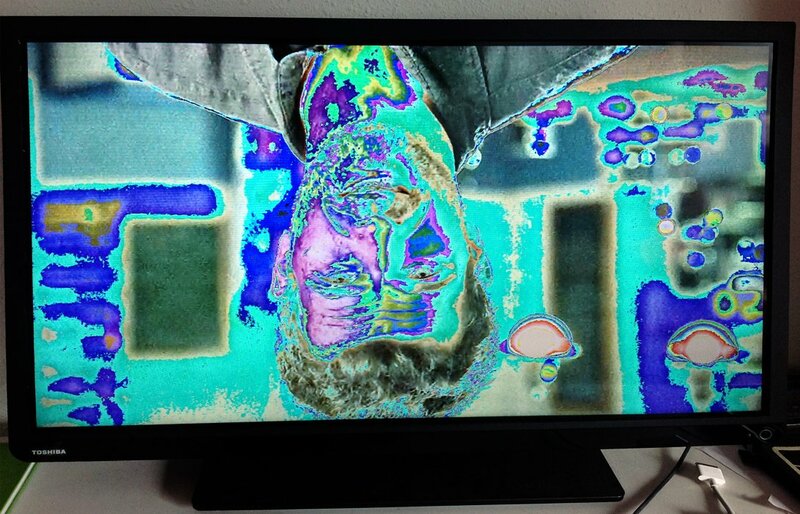 The firmware flashing went OK, but after TV rebooted itself the picture is upside down and colors are distorted. Re: Toshiba 32w3433dg picture upside down and colors not correct after firmware upg. Got something for a similar Vestel Toshiba, might be worth a go - Chris. I'm afraid this will not work as my board is 2MB SPI flash. Perhaps the TV has a mirror image feature - don't know with Toshiba. Probably in the service menu. That would flip the picture right way up, but it looks like you have a gamma fault as well. It's all somewhat a messy situation. If the original file was rar, it has to be unpacked before loading it on the USB stick. You need to flash the correct firmware. The one you picked is the wrong one.